Use chatbot to engage and motivate your audiences, sell more products and gain more influence. 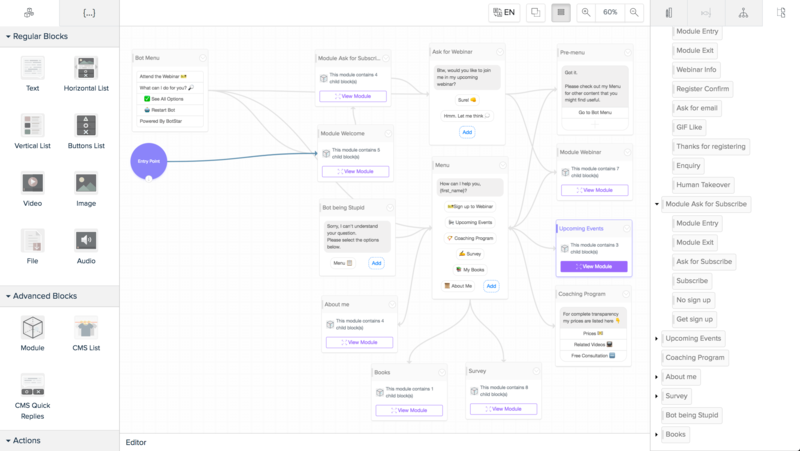 This chatbot helps you share upcoming events, collect data from subscribers for future promotion, sell your products, introduce yourself, encourage and motivate your audiences. 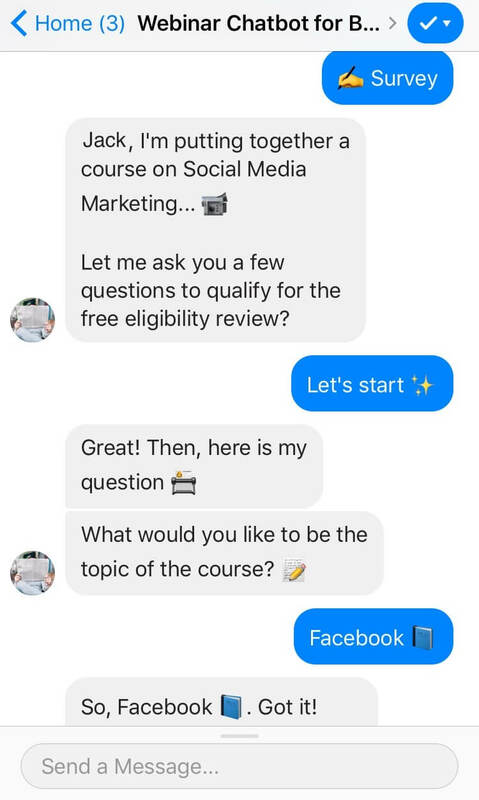 When you create a chatbot for your coaching purposes, you’re bridging any gaps between your website or fan-page and your potential clients. 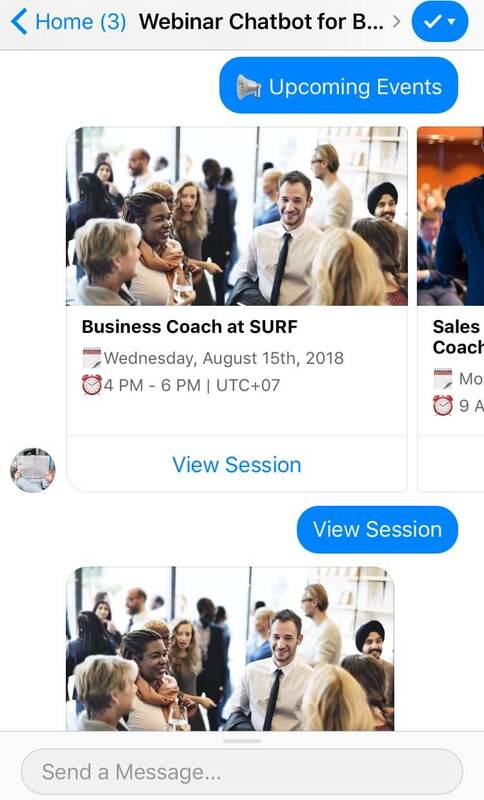 A coaching chatbot doesn’t replace you. Rather, it ensures that your website’s visitors have the information or advice they need in order to book a session with you.